No. Our historic village and trails are open to the public at no charge. We do encourage donations, however. What about professional photography sessions? We are pleased to announce that we no longer charge a fee and welcome you to use our facility for your photo sessions. Please call our office at (919) 731-1653 to ensure that there are no events (weddings, reunions, etc.) scheduled with which your shoot would interfere. Please do not write on our buildings or disturb in anyway the furnishings, displays, and plantings in and around our villages’s historic structures. Please do not litter. Leave the park as you found it, or better. 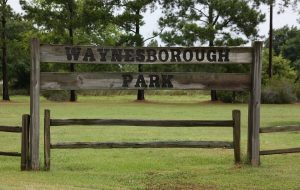 Please, whenever possible, recognize your shoot’s site as being courtesy of Old Waynesborough. The Old Waynesborough Commission will not be responsible for any injuries or damage to or theft of equipment during your photo shoots. Even though we are no longer charging the photo shoot fee, we urge you to make a monetary donation to Old Waynesborough each time you use our facility. 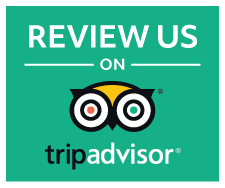 Thank you for your cooperation and we look forward to seeing you at Old Waynesborough. No, Old Waynesborough does not allow alcoholic beverages on the premises. Can we have a picnic at the park? Certainly! We have approximately 15 picnic tables situated in the shade of fully mature trees adjacent to our historic village. If you plan to come on a weekend, be sure to call in advance to make sure there are no conflicting events scheduled. Are bicycles or ATVs allowed? Bicycles are welcome, but ATVs and any other motorized equipment are not allowed. Yes, there are several places along the Neuse and Little Rivers with access to the river bank.